Many people know little about what a Mormon worship service looks like. And unfortunately, many think they are not invited or welcome to attend church with the Latter-day Saints, where they could see for themselves how Mormon worship is focused on Jesus Christ. This is often the basis of misunderstanding and leads many to interpret the close-knit community ties of the Latter-day Saints as clannishness. Such a perception may stem from a blurring of the line between regular Sunday worship services that take place in chapels and temple worship. Like other Christians, Latter-day Saints attend church every Sunday — over 27,000 congregations meet weekly in chapels throughout the world. These local congregations are geographically designated so as to bring neighbors and communities closer together and give them greater opportunities to serve each other. Sunday services are open to all who wish to attend, including those not of the faith. Worship services are held weekly (Sundays in most countries, but Saturdays in Israel, and Fridays in Moslem countries). 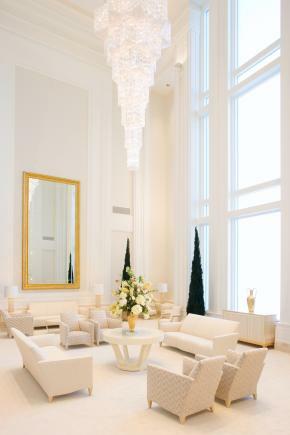 Mormon chapels are found in “meeting houses,” which also contain classrooms, offices, and a “cultural hall,” which can be used for basketball games and gatherings, and which sometimes has a stage. The chapel is usually divided from the cultural hall by sliding partitions that can be opened, when the congregation is too large. Mormon meeting houses tend to be architecturally designed not only according to functionality, but to fit in with the architecture of the region. They are rather simple, and inside, they are fairly unadorned. Artwork depicting the life of Christ is found in hallways and classrooms, but not in the chapel. 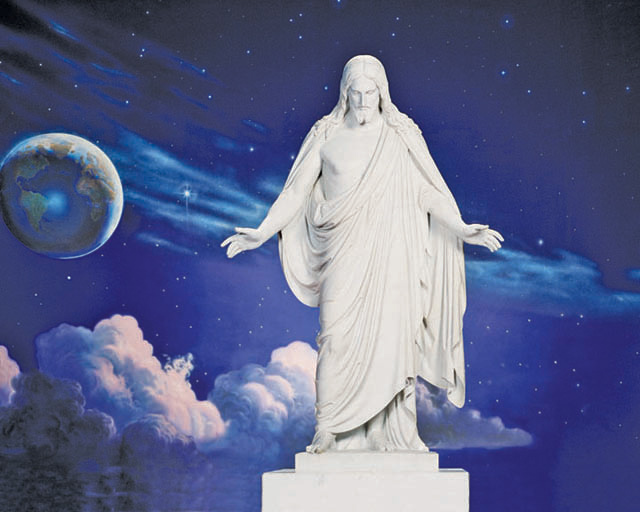 Mormons use no icons in their weekly worship, so there is no statuary or artwork in Mormon chapels. As an illustration of what a typical service looks like, men, women and teenagers speak from the pulpit; sing hymns; offer extemporaneous, not recited, prayers; participate in the sacrament (similar to communion); attend scripture classes and engage in discussion; and share personal faith stories, or “testimonies.” As there is no paid professional clergy, sharing congregational responsibilities and duties instills the value of community and fellowship. This cooperative enterprise means that lay members alternately preach sermons and listen to sermons, lead music and sing music, give advice and receive advice. Mormons attend three meetings on Sunday, in most locations held in a 3-hour block. “Sacrament Meeting” usually lasts for 1 hour 15 minutes. The “sacrament” is similar to the eucharist. It consists of the blessing and partaking of bread and water to represent the body and blood of Christ. Church members promise to take upon themselves the name of Christ, to live His commandments, and to always remember Him. In return, the Lord promises His spirit to always be with them. 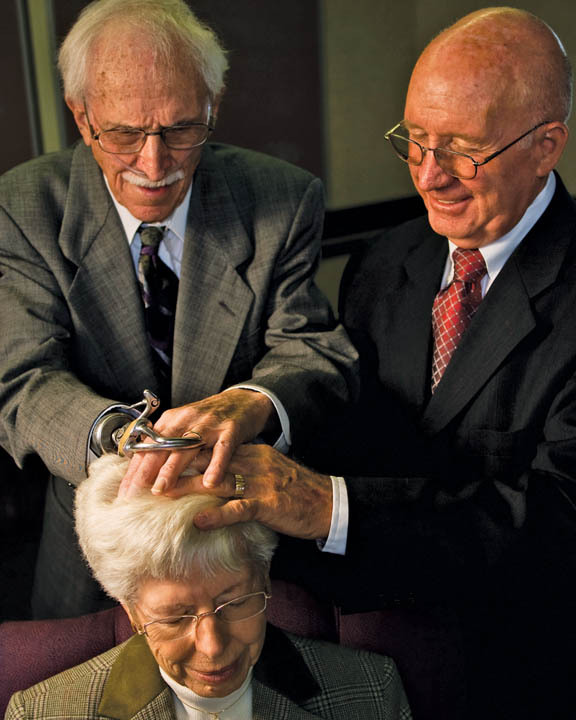 It is easy for guests to attend Mormon sacrament meeting. There is nothing to memorize, say, or repeat during the meeting. After sacrament meeting, church members separate into groups to attend Sunday School classes. 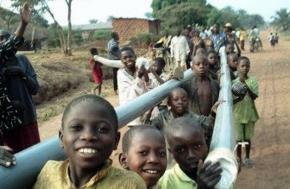 Classes for children and youth are arranged according to age. Classes for adults are arranged by subject matter. Most adults attend “Gospel Doctrine” class. In gospel doctrine class, Mormons study and discuss the scriptures: the Holy Bible, the Book of Mormon, and the Doctrine and Covenants. There is a four year course of study — 1 year Old Testament (with selections from the Pearl of Great Price); 1 year New Testament; 1 year Book of Mormon; and 1 year Doctrine and Covenants (with a summary of church history). Thus, two of every four years are spent studying the Bible. The third hour is spent in different classes. Women over 18 attend Relief Society meeting; young men over 12 attend various Priesthood meetings; and children under 12 attend “Primary” classes. Youth activities are held at the meeting houses once each week, and congregational activities might also be held there. The openness and outreach to the public by Mormons, also attested by the thousands of missionaries who leave their homes and serve throughout the world, demonstrate a culture of outward extension, not inward retreat. So it is apparent that at the core of the public perception of the Church there is a discrepancy between a growing, sociable religion on the one hand and an insular, inaccessible religion on the other. Attending church with the Latter-day Saints and becoming acquainted with them on a personal level is the best way to resolve this discrepancy. Because temples are architecturally beautiful and often prominently placed, many inquire about visiting them and are disappointed to find out that only Church members in good standing may enter. It is noteworthy, however, that the general public is invited to participate in educational tours of the interior of temples after their construction is complete but before they are officially dedicated and opened. To account for the diversity of religious experience, many religions have traditionally made space in their worship practices for the public and the private, the common and the sacred, the routine and the exceptional, the wide and the narrow. These sanctuaries serve a much different purpose than regular worship services intended for larger audiences. It is no different with the Latter-day Saints. 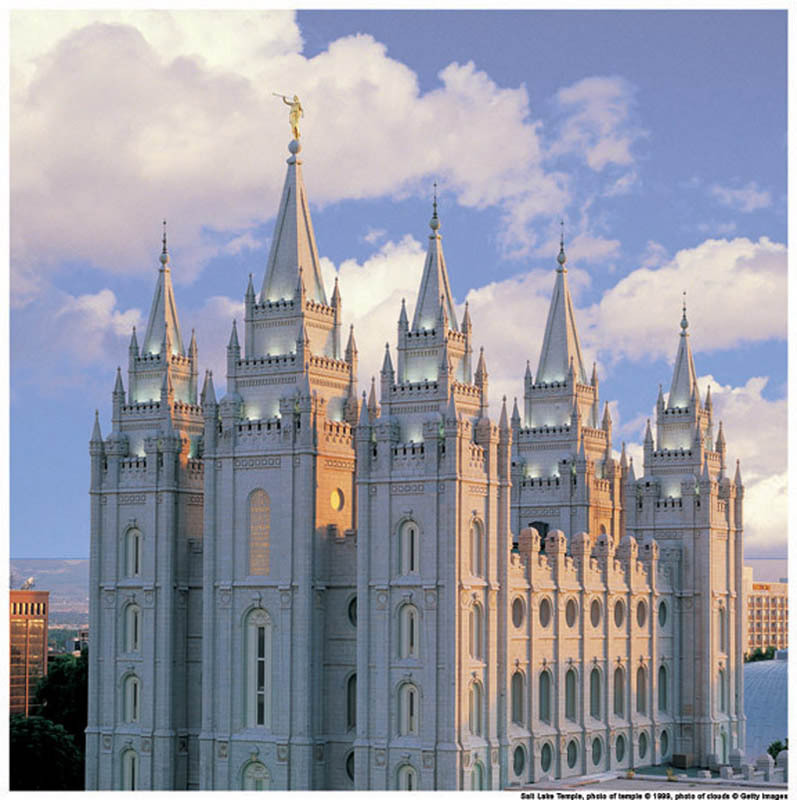 What is the LDS General Conference? Do Mormons Participate in Holy Communion? What Do Mormons Wear to Church? I have a question. I’ve heard that Mormons believe that when they die that they will be a (G)od of their own planet. Is this true? Mormons believe that if they overcome by relying on the atonement of Christ, they will inherit “all that He hath.” This is a common Christian belief, but people don’t think about what it is that Christ has, and how long eternity is. If you have millions and millions of years in heaven in the presence of God, what does He have to share with you? A fulness of joy, surely, but He knows everything and works and works throughout the universe, creating. Give that some thought. There is no doctrine that says we will each get a planet, but the Plan of Salvation is also called the Plan of Progression, because we will eternally progress and increase in knowledge and ability. What will we do with that?